Discussion in 'General Linux' started by ShadeyJones, Jan 31, 2019. I have a 2 TB Western Digital Hard drive from a Flir/Lorex NVR camera recorder. I could not see the partition in windows so someone said to install Linux and it can read anything. 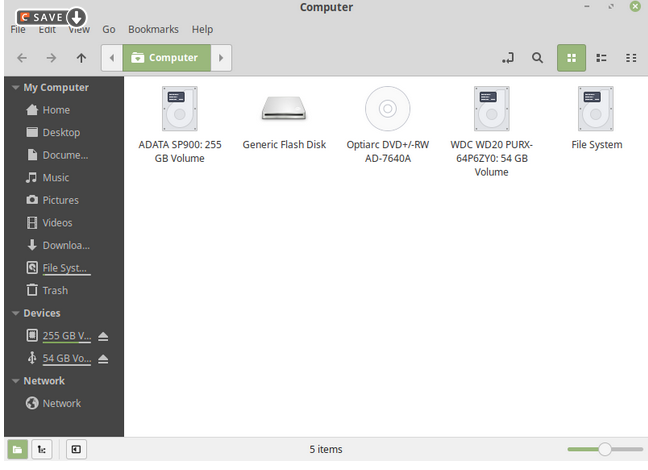 So i installed Linux Mint, installed the drive via usb external caddy. It shows up as a 54gb partition with nothing in it. Hey there Probie (Aussie sense of humour, I watch too much NCIS ), what have you got? I have to scoot for my evening but it may be something like this? Possibly not, @ShadeyJones , or someone may have swung by, by now. Have you considered getting in touch with the manufacturers to see if they can help? Hey there.. in linux, have you tried to mount it? you'd want to create an empty directory like .. 'mkdir /drive' ... then mount it specifying the type like 'mount -t ntfs /dev/sda2 /drive'. Sometimes you can get away w/o specifying a filesystem type, but above, it looks like it's ntfs. wizardfromoz and Kryptoghost like this. 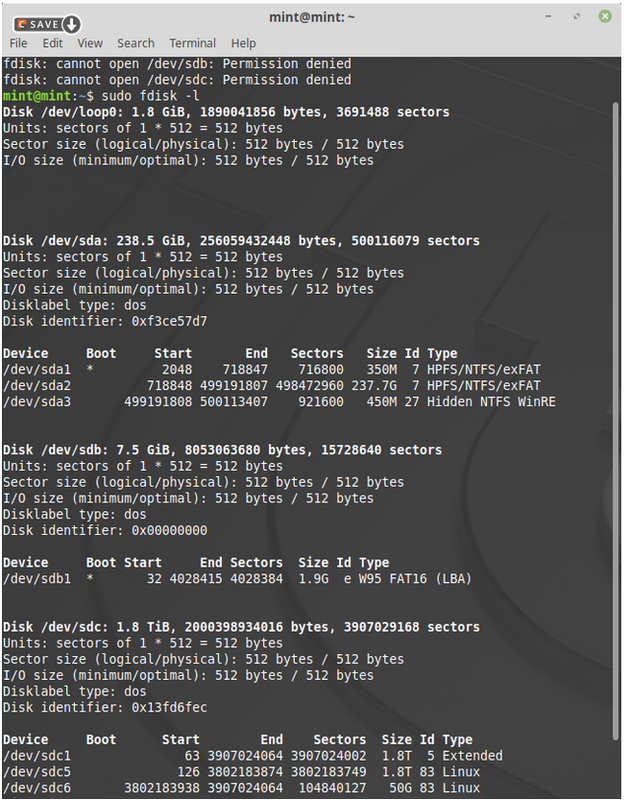 You might try "df -h" in the command line to see if linux sees any data on the drives. Additionally I agree with Rob, try mounting the drive first. stick a sudo at the beginning of that command.